While planning our wedding we struggled a bit with what to put on our registry. We already were living together and over the last two years of doing so, we had purchased many new things already! Toaster? We had one! Champagne Flutes? I got them on sale last year! But there was one thing we didn’t have…and that was a Dyson! 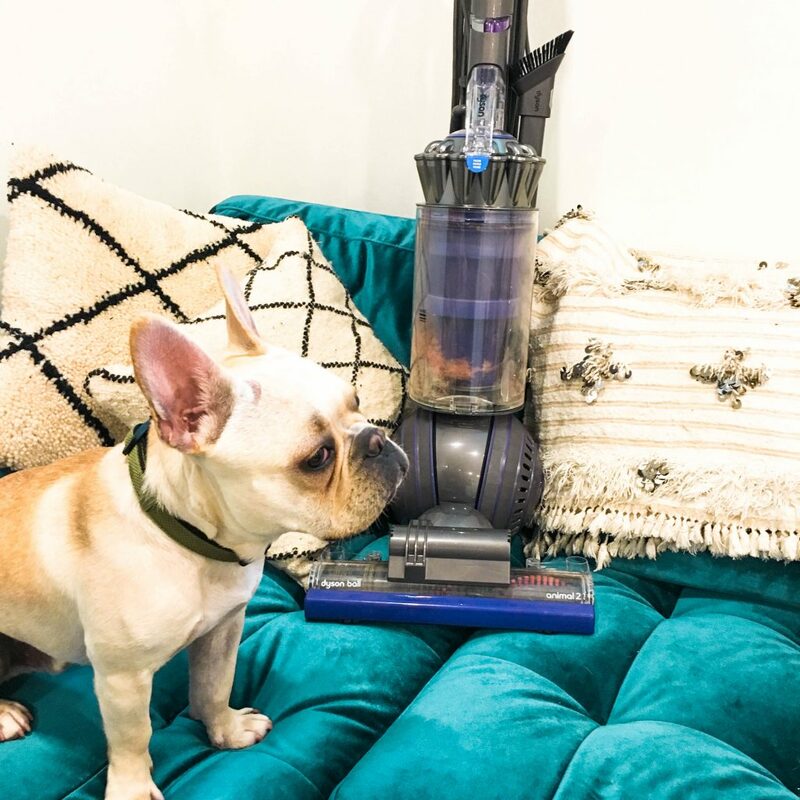 We didn’t realize how crucial a Dyson was…. That was until we got our puppy and he shed EVERYWHERE! About 6 months before our wedding, we brought home our French Bulldog named Finn. He was a little squish ball filled with so much energy ….and a coat of fur that shed like crazy! Within weeks of having him, our blue velvet couch, our floors and our carpets were covered with fur. Immediately we knew what to do. 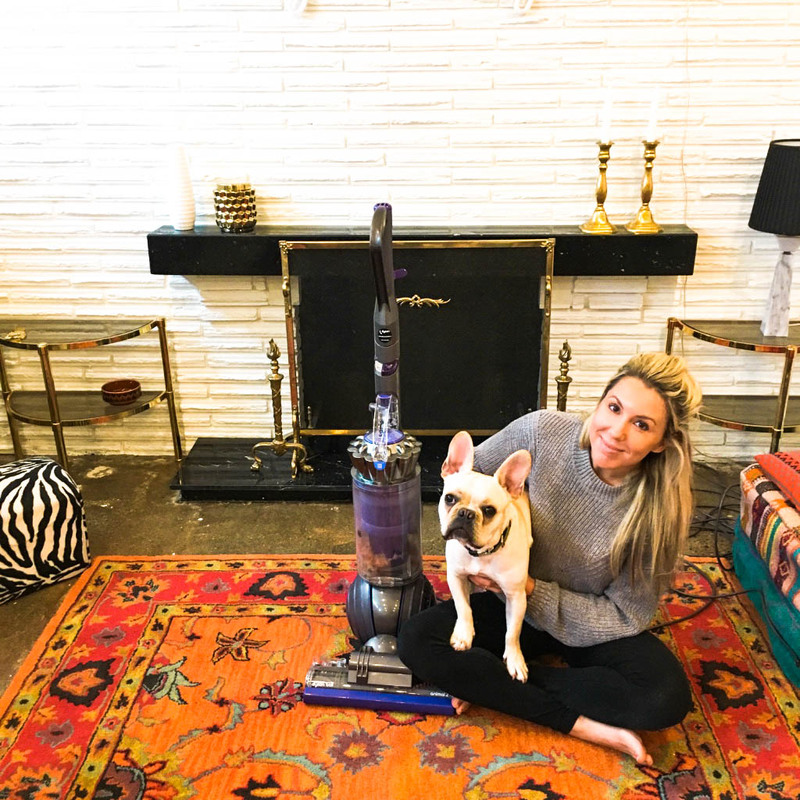 We added the Dyson Ball Animal 2 to our bridal registry and prayed that we got it! I mean with the word Animal in it’s name, we were confident that it could handle and help us with our very own animal, right? Our prayers were answered a few days after the wedding when we opened our gifts and found the Dyson there. 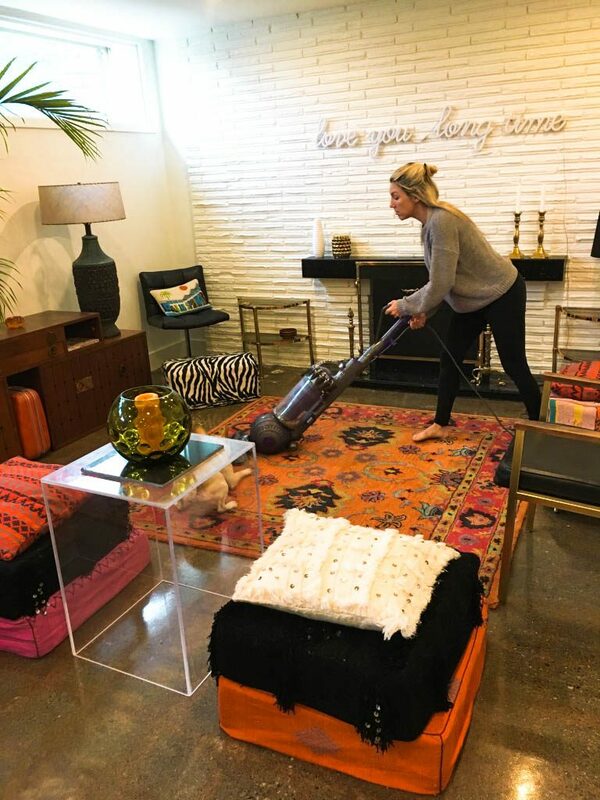 They say “a clean home is a happy home” and I can say this is definitely true. Finn’s fur is SO much easier to manage with this bad boy and we are happier because we feel like our house is the sanctuary we once felt it to be. 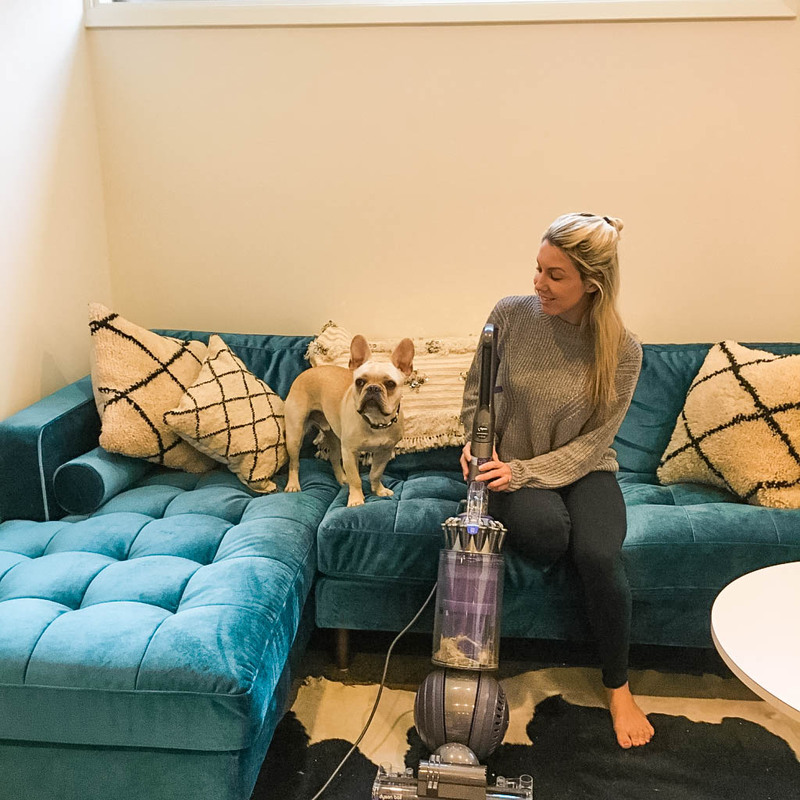 The Dyson Ball Animal 2 has more suction than any other vacuum on the market and captures even the smallest amounts of dust. 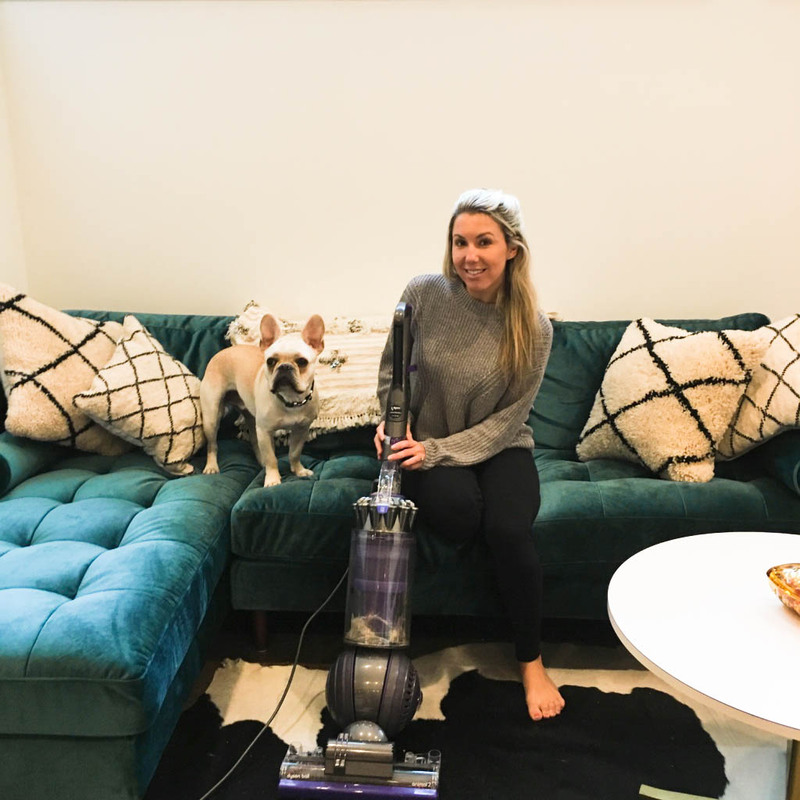 It can clean our carpets, floors ( we have concrete ones, hardwood and tiling throughout the house) and even our velvet couch! It doesn’t hurt that Finn runs away from it when it is on and I have a few moments of sanity from his usual high energy personality! We take a lot of pride into keeping our space very “Hotel- Like”. Since we travel all the time, we love to feel like we have all the amenities of some of the best hotels we have stayed in! We came back from our honeymoon and we were ready to just enjoy newlywed life together in our clean home!